The brand new series lands on Dave in... October! February. September. November. February. February. October. January. February. April. October. September. And now... October again! Yes, the vagueness is over - for those of you who've been wondering just what we meant by "autumn", we can now confirm that Series XII of Red Dwarf will air exclusively on Dave in October 2017. 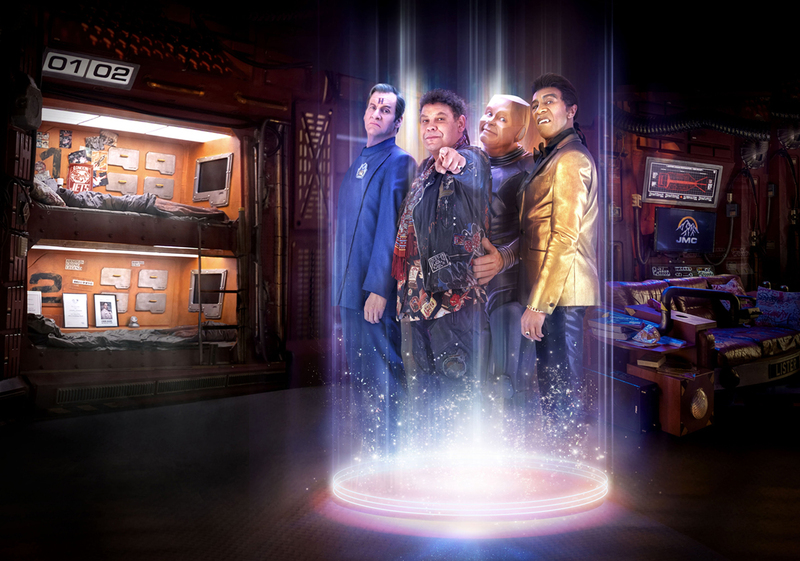 Red Dwarf XII is the twelfth series of the legendary comedy, once again written and directed by Doug Naylor and following last year's series XI, voted "Best Comedy of the Year" and "Best Returning Comedy" by British Comedy Guide. The original cast of Chris Barrie (Rimmer), Craig Charles (Lister), Danny John-Jules (Cat) and Robert Llewellyn (Kryten) are back for six brand new episodes recorded in front of a live studio audience at Pinewood Studios. For the very first time, the rest of the crew discover just how it feels to be Kryten when they're arrested by the Mechanoid Intergalactic Liberation Front. The Dwarfers come across a ship where criticism is illegal, and a space station where the crew have developed a cure for evil. When all the machines on Red Dwarf go on strike Rimmer and Kryten hold a Presidential election, while The Cat faces an identity crisis like never before when he discovers he needs glasses. Lister discovers a simple update of the ship's latest software could be a matter of life or death. Finally, Rimmer decides to leave Red Dwarf in search of a parallel universe where he isn't such a massive loser. Featuring a whole host of star guests, smart sci-fi and ingenious comedy, Red Dwarf XII returns to Dave exclusively this October.